That’s no moon. It’s the worlds largest wizard staff consisting of 110 ‘Gansett Cream Ale cans. 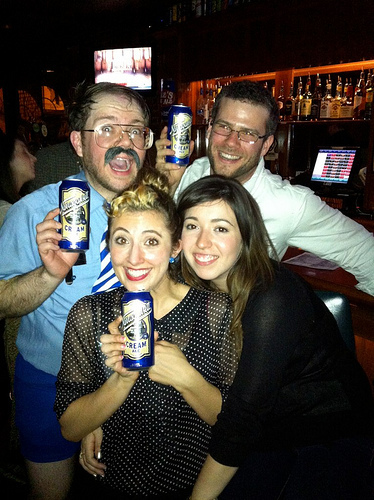 The crazy party goers at Bar in Philly last week successfully completed this during the Cream Ale launch party. 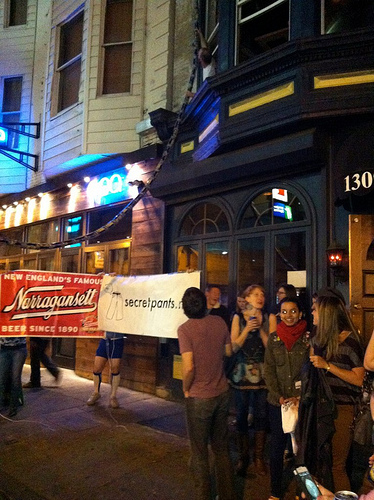 It spanned from the second floor of the bar’s window to across the street. Traffic even came to a complete stop. 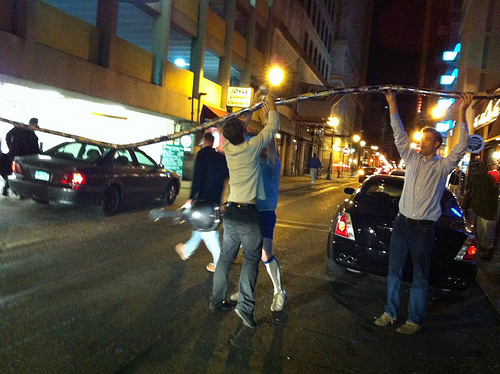 Here are a few more photos from the night. Tampa Pro 2012 at the Skate Park Of Tampa. 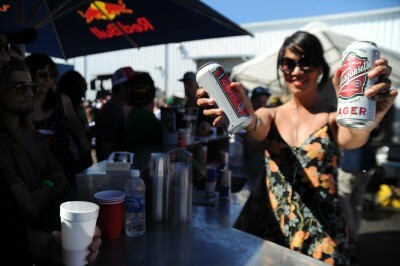 So much went down at the Tampa Pro 2012 at the Skatepark of Tampa last week. 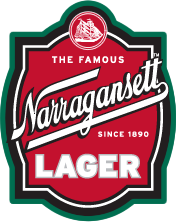 Tons of after parties, pre-parties, and of course shredding was all sponsored by Narragansett beer. Not to overuse the word epic, but this was one hell of a weekend. Skating and Gansett, now that’s awesome. Click here for more SkateparkOfTampa.com/TampaPro. and check out the photos and video.